The DemoGuru! And standing so near! Review these and check – is this still the case? Leave it up, let it linger, so they’ll know what they’ve seen! Copyright © 2005-2007 The Second Derivative – All Rights Reserved. For a PDF copy of this article or more articles on demonstration effectiveness skills and methods, visit our website at www.SecondDerivative.com. For demo tips, best practices, tools and techniques, join the DemoGurus Community Website at www.DemoGurus.com or explore our blog at http://greatdemo.blogspot.com/. More than a third of all poll-takers hated their job--and nearly a third more aren’t far from it! I have to admit I am one of the lucky ones who can’t complain--nice working environment, good company, reasonable flexibility, and something new every day. But unfortunately there are many people who hate their jobs--for many different reasons such as lack of autonomy and an incompatible company culture. But the number one reason workers hate their jobs is having a difficult boss, according to a recent article from Forbes.com on MSNBC. It’s not surprising to me that employee happiness runs from the top down. If the management is motivating and encouraging, then the work gets done, employees feel accomplished and everyone is happy with the success. It’s also not surprising to me that this is the number one reason for job hatred. Good leaders can and do go bad. Management runs our business, it makes sense that they also control whether employees are happy in their jobs. After all, there is a negative component to every good leadership characteristic, according to an article in our sister publication Training. For example, a manager who is confident and straightforward can easily become narcissistic, overly critical, and treat others with contempt. - Articulate exactly what you don’t like to a supervisor. Be specific and propose solutions. - Problem co-worker? Talk to your supervisor to see if you can avoid collaborating together on projects or if you can move your cube. - Too little pay? Discuss with your boss the expectations for your position and what you can do to exceed them, so you have a stellar review next time around. For those managers out there, read Motivation Inspiration on ManageSmarter.com for some tips on keeping workers happy with incentives. Viral marketing has received such a bad rap. The term sounds like a disease you don't want to catch. However, viral marketing, or word-of-mouth marketing, can be a great way to generate interest in your product or service. Take the new Samuel L. Jackson flick, Snakes on a Plane. While the title alone hints of a movie meant to go straight to DVD, the new action film took the top box-office spot its opening weekend, boosted by online buzz. Who on Earth would go see this movie? 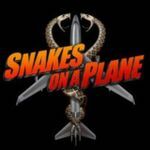 At least enough people for Snakes on a Plane to rake in about $20.3 million to date. This isn't your average pre-recorded message from a celebrity either. It's a personalized message each time the phone rings. I tested it out and each time the results were dead on! My brother got a call from Jackson and he later wondered, "How did he know I have tattoos?!!" Another call from Jackson to my coworker ignited laughter when he called her a gym rat. Nevertheless, the marketing strategy still captured movie fans' interest. Do you have a positive viral marketing experience to share? Tell us about it. Plus, don't forget to enter our Smart Sweepstakes in celebration of the launch of our new Web portal: www.ManageSmarter.com. Last month I did something I haven't done in about three years: I was out of the office for a week. I traded in the artificial glow of the fluorescent light bulbs of my office for the sunshine of Hawaii. Perhaps even more amazing than the fact that I took a week off was that I did so without doing any work during my downtime. Taking a vacation used to mean you got time off from the stresses of the office to unwind with family and friends. Now, work-free vacations are like Santa Claus and the Tooth Fairy—when you were more idealistic, you believed they existed, but with experience (and the advent of the BlackBerry and cell phone) came the realization that they were just a myth. But it doesn't have to be that way. In fact, experts in our work/life balance article this month say that checking out on vacation is not a luxury, but a necessity. Everyone needs a chance to recharge their batteries, and having a period when you can think without distraction may even help your business because it gives you the opportunity to contemplate long-term goals without dealing with the minutiae of everyday management. For the worst workaholics there will, of course, be some withdrawal. You'll have to work hard to resist the urge to check your voice mail or e-mail. (I did cheat and check e-mail a few times, but just so I wouldn't come back to an overstuffed inbox.) But with some baby steps—such as checking your messages once every few days, or shutting off your mobile devices for a specified time—it is actually possible to relax. When I came back, I had expected to undergo the back-to-reality blahs. But much to my surprise, I didn't experience much post-paradise withdrawal. I don't think this would have been possible had I not mentally checked out for the week. I still had visions of palm trees and umbrella drinks in my head (as well as the view on top of Oahu's Diamond Head crater, seen above) but with my batteries recharged, I was ready to take on work again.